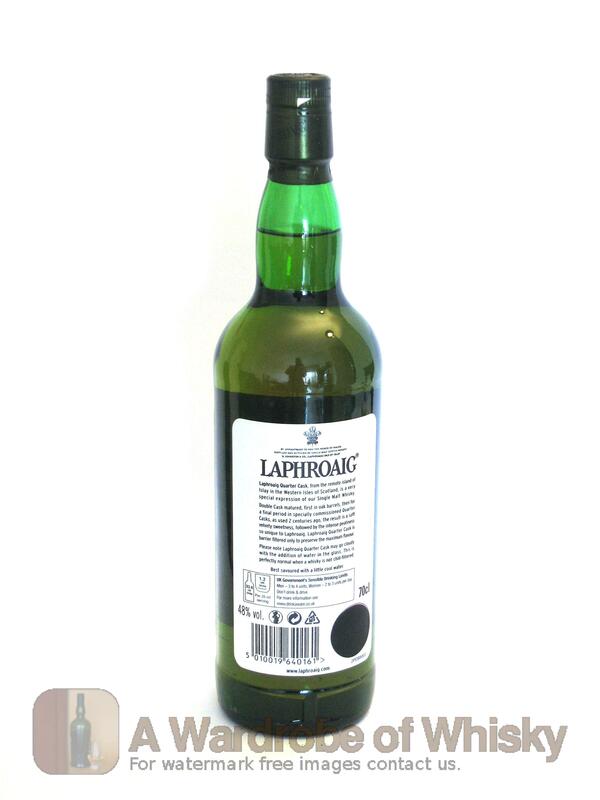 A vibrant young Laphroaig whose maturation has been speeded up by ageing in Quarter Casks. 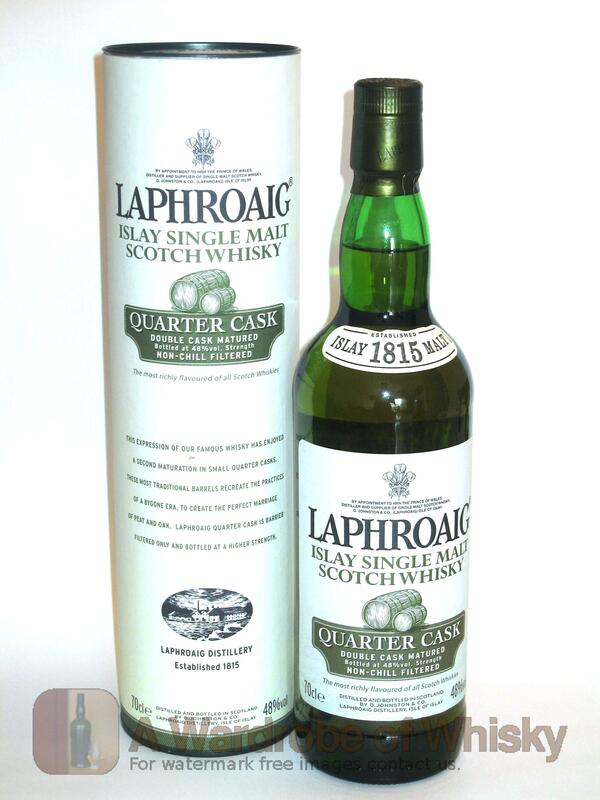 This shows soft sweetness and a velvety feel when first tasted, then the intense peatiness so unique to Laphroaig comes bursting through. A really terrific whisky and great value. Nose (90): more than average. peat, honey, sea, citrus. Taste (91): powerful, oily. peat, honey, seaweed, salt, pepper, citrus, earthy. Explendid! 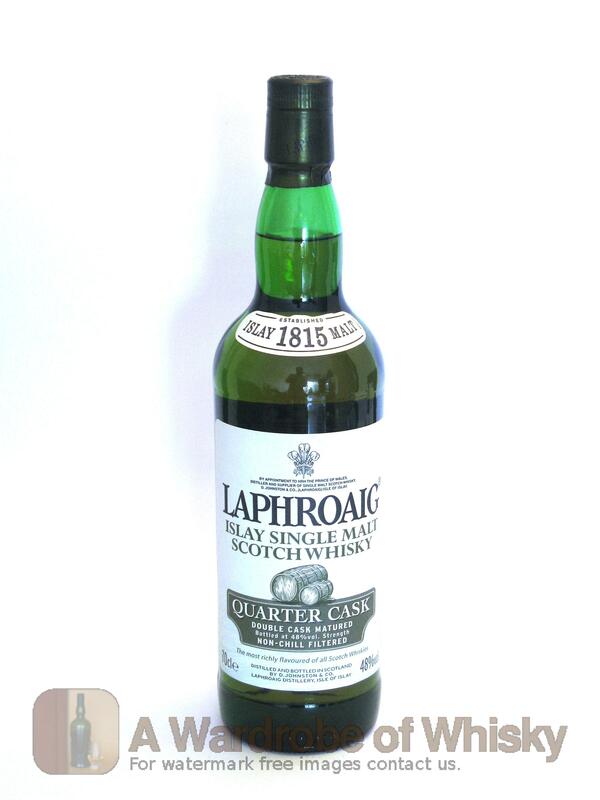 These bottles have been chosen over others because their nose, taste and finish are more similar to Laphroaig Quarter Cask than the rest. Go to Whisky-o-matic page to fine tuning other settings.